This is the one where Hiccup finds he is bad at sword fighting because he is right handed. A great book. This book is amazing and descriptive. It makes you want to read more and finish the book. I have loved reading this book. WOW!!!!! I loved this book as it had the right mix of things in for me. 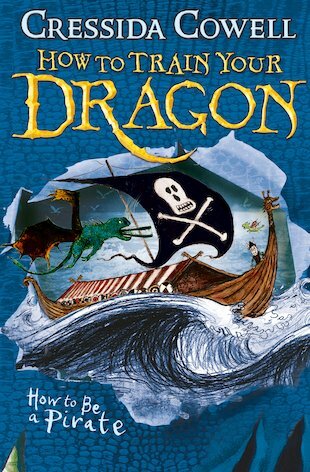 I think this book will be good for everyone as it has pirates and adventure which everyone would like to read. If you haven’t read any of the series I would recommend. Hiccup Horrendous Haddock III and the Hairy Hooligan Tribe find an old coffin marked with the words : DO NOT OPEN. Can he save the tribe, find Grimbeard the Ghastly’s treasure, stop Alvin the Treacherous and get back before dinner? * * * * * again! How to Train Your Dragon is hilariously funny. Great for any age! I love this book is funny and dreammaking YOU ROCK CRESSSIDA COWELL!!!!!!!!!!!!!!!!!!!!!!!!!!!!!!!!!!!!!!!!!!!!!!!!!!!! !